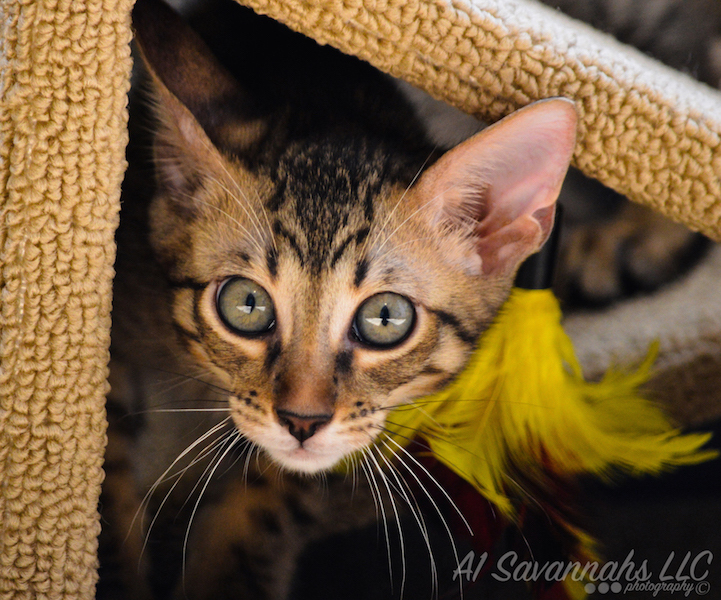 A1Savannahs Iris resting in the grass in Ponca City, Oklahoma. 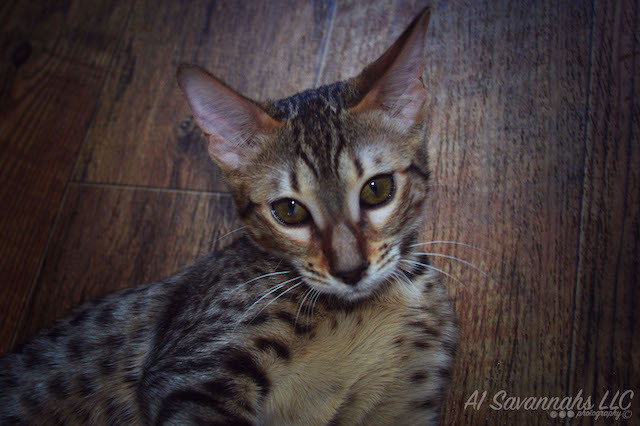 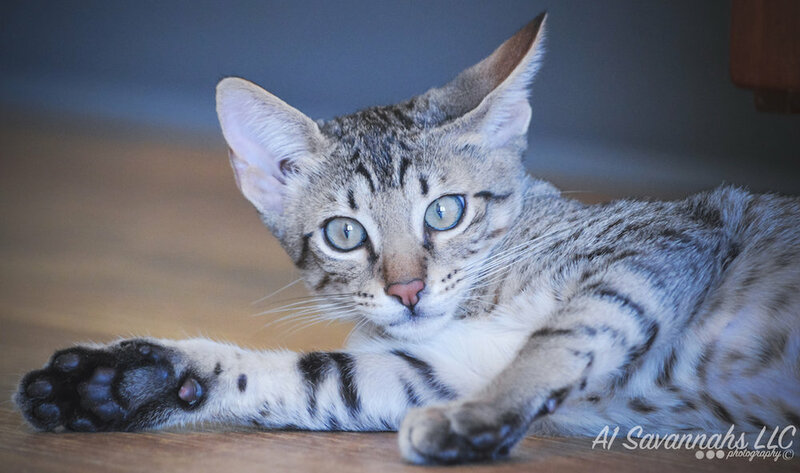 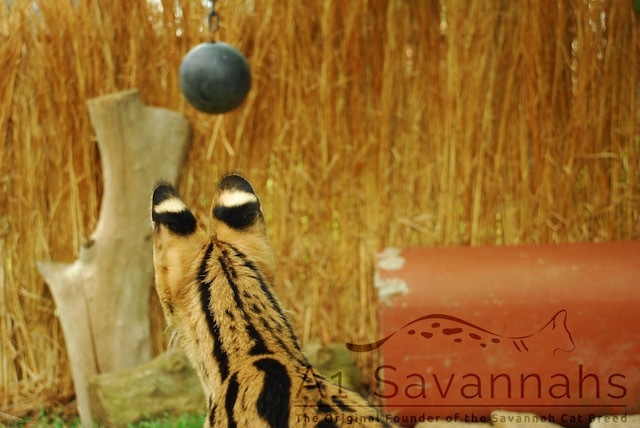 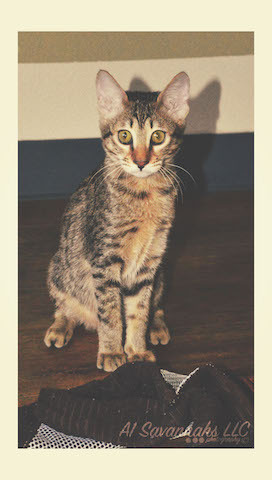 Athina loving her play time at A1Savannahs, the original founder of the savannah cat breed. 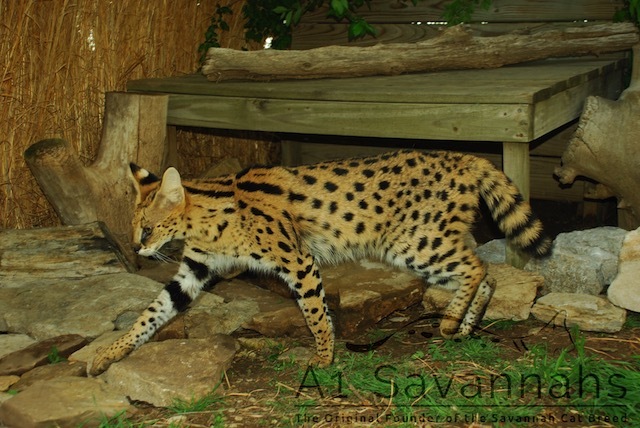 A1Savannahs Iris the serval is showing off her long body and legs while displaying her majestic golden coat. 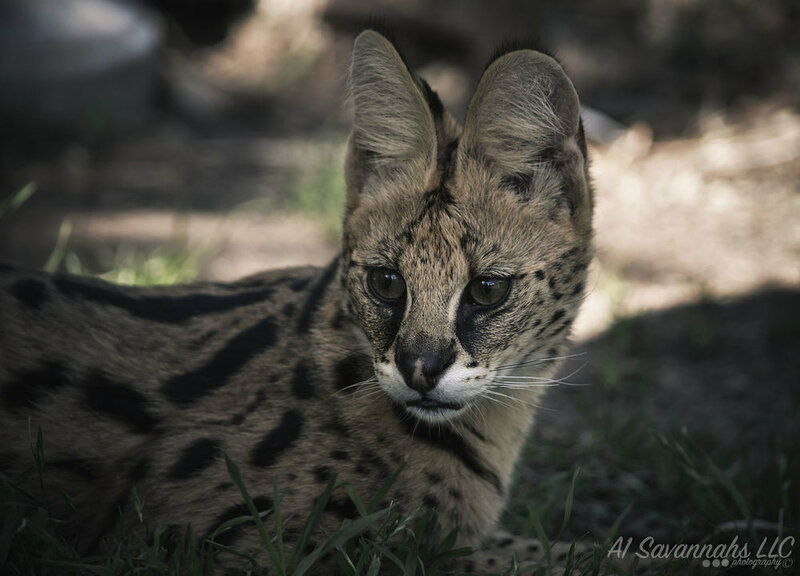 Athina the serval is such a playful and sweet girl as she pounces around, never straying away too far from the camera. 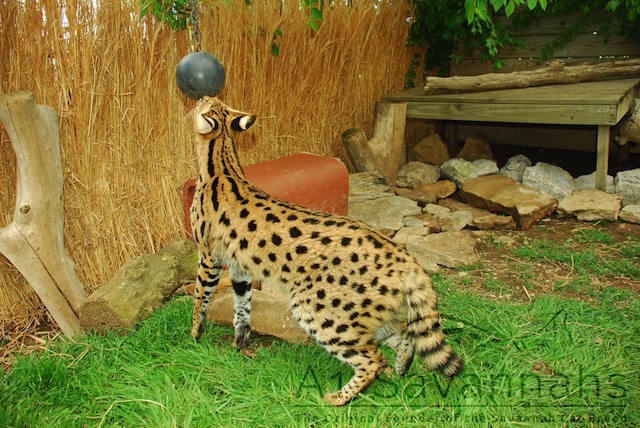 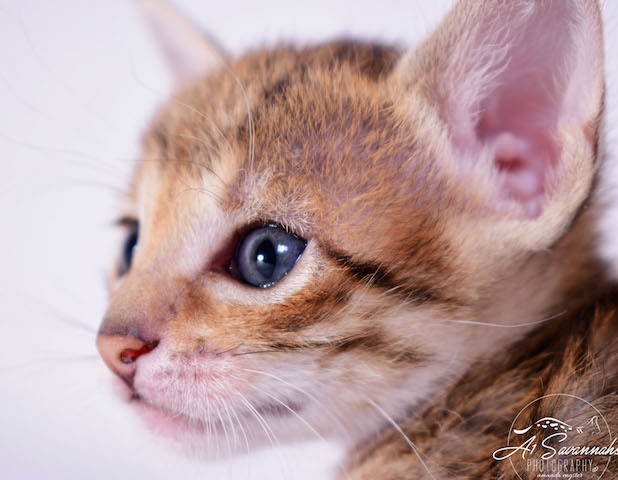 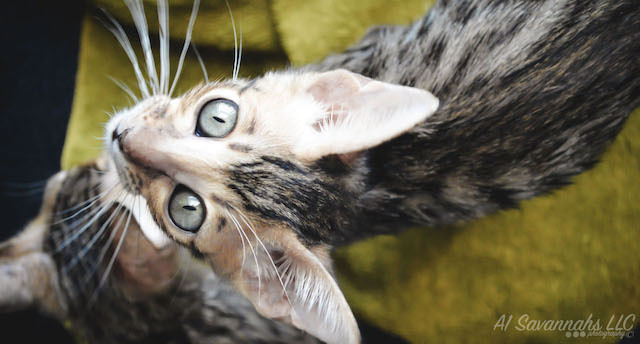 Iris the serval is show us her luxurious golden coat with those large black markings. 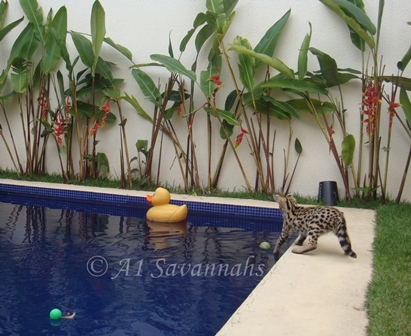 A1Savannahs Athina the serval is enjoying her day. 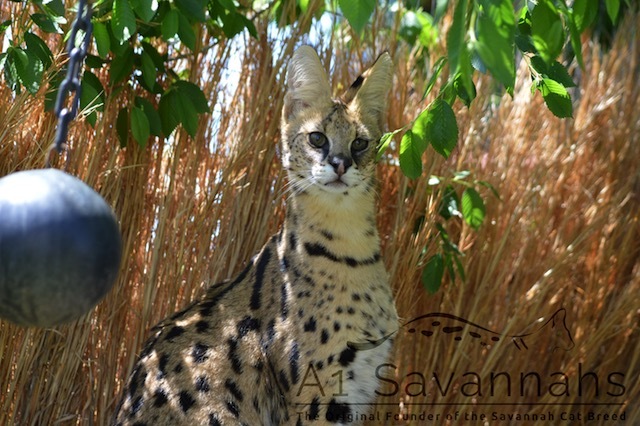 Iris the serval is sitting and posing for the camera in the shade at A1Savannahs in Ponca City, Oklahoma. 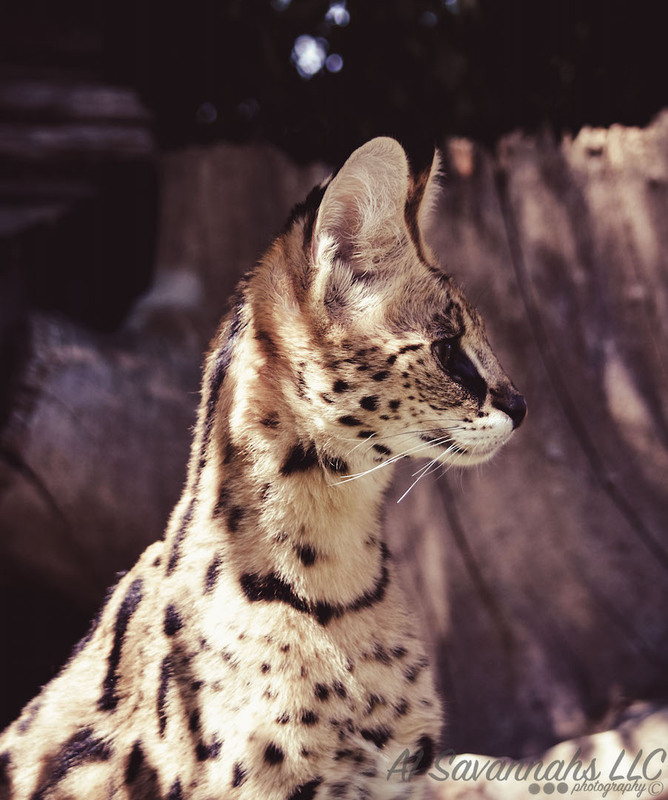 Athina sitting partially in the sun while watching her sister play in Ponca City, Oklahoma.